I love pets. I mean, I REALLY LOVE pets, so much so that I currently have too many. As of today I share my living space with three dogs, three ducks, to Rex rats, two red-eared slider turtles, a blue-crowned conure, and an English sparrow rescued as a hatchling when a high wind blew him out of his nest. It’s quite a menagerie, I’ll admit, but I know I’m not the only one who is captured by the cute loveable-ness and companionship bound up in all that fur…or feathers…or shell. As humans, most of us possess the desire to nurture and love other living things that will ideally reciprocate our affection. This is why it surprises me a little that pets are not featured in more fantasy stories. It’s also the reason why the dog Bree and the raven Gaoth appear in my Ceryn Roh Saga novels. In honor of beloved pets everywhere, today’s Top Three post features my favorite pets in fantasy novels. Anne McCaffery’s Pern novels are a huge collection of science-fiction laced fantasy stories set on a planet where dragons and humans live and work together to overcome a mutual environmental menace. 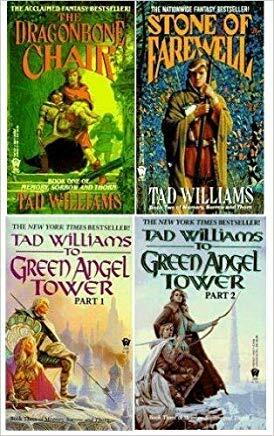 This collection includes many sub-series, one of which is the Harper Hall trilogy. These three stories feature Menolly, a young adult whose love of music makes her an outcast in her own home but eventually leads her to find her place among the Harpers of Pern. During the course of the first book, Menolly finds a clutch of fire lizards, miniature dragons about the size of an African Grey parrot. 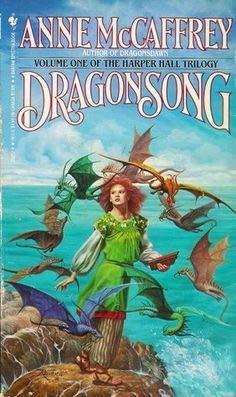 In this story world, it is hard enough to bond with one of these creatures (who act a lot like parrots, with the added features of flying and breathing fire), so when Menolly bonds with nine of them and teaches them to sing, she causes quite a stir among harpers and dragon riders, alike. Tad William’s story world of Osten Ard is populated with at least eight distinct races. Among them are the Quanuc, a dwarf-ish/troll race who strongly resemble the Inuit of North America. One of these, a troll named Binabik, has a wolf companion named Quantaqua. The two make an amazing team, and their journeys together are what inspired me to allow Bree to accompany Sabine in my Ceryn Roh stories. One of the things I missed the most during my time in college was my pets. 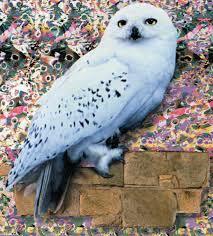 How cool is it, then, that Hogwarts not only allows but requires students to bring their pets with them? Add to that the beauty, majesty, and mystique of the snowy owl, and it’s no wonder so many people fell in love with Hedwig. This is not, by any means, an exhaustive list. I mean, who can forget about Toothless from Disney’s How to Train Your Dragon? However, it is rather difficult to take care of pets when you’re running from certain doom and trying to save the world, so I understand why pets are not exactly a common thing in fantasy stories. However, there are so many books out there that I haven’t read yet, that I’m guessing it might be a more common occurrence than I know, so I’d love to hear from you! What are your top three stories that feature pets?